Tomorrow is my thirty-fourth birthday. Some blokes say it with flowers. Some blokes say it with chocolates. This year Bearhands said it with a bobcat. This is not the first out- of-the-ordinary gift I’ve received from him over the years. For Valentine’s Day a few years back, he bought me the fridge I’d been lusting after for months. My folks and my in-laws are coming to the farm for dinner tomorrow night. My Mother-in-law is dairy-free, so for a starter I’ve made baba ghanoush. Preheat an oven to 180°C (fan forced). Using a fork, prick the eggplants all over, cover with oil and bake on an oven tray for 40 minutes or until the eggplant is soft. Allow the eggplant to cool. Once cool enough to handle, peel the skin from eggplant. Combine the eggplant and the remaining ingredients in a food processor and blend until smooth. This was so very easy! I popped the eggplant in the oven before I did the afternoon school run and it was cool enough to peel by the time I got home – how cool is having an oven with a functioning timer? I’ll serve it with toasted flatbread tomorrow. Funnily enough, the bobcat wasn’t the best birthday present I’ve scored – the compulsory kindy AGM that was scheduled for 7pm tomorrow night has been postponed ’til next week – huzzah! any tips for emerging from my first kindy AGM unappointed? Wow! I’m impressed. That is certainly one of the most unique gifts I have heard of! Wait… wait… I was all excited that you’d been given some cute, fluffy feline-looking things with tufty ears, and instead you got a grown-up version of a Tonka truck! Ha! A bobcat would be about the only feline gift that I’d happily receive Beth! This one will be pulled on a trailer behind the turf truck for deliveries and site preparation. Brilliant. I did chuckle at your gift. Say it with farm machinery is a Hallmark card waiting to happen! Chicks on bobcats are hot, FYI. Happy Birthday beautiful girl! Enjoy your new toy! Happy Birthday Amanda. Looks like a present my hubby would get me! Practical! I’m sure you will have lots of fun with that. Honestly I love getting involved but getting an important call at the time you need to nominate is always a good out. Happy birthday! When we were firstvdatingvmy hubby once bought me a veggie steamer!! He has come a looooong way since then!! Haha love the pressie and the babaganoush looks totally devour worthy. Yum! Look at you go! 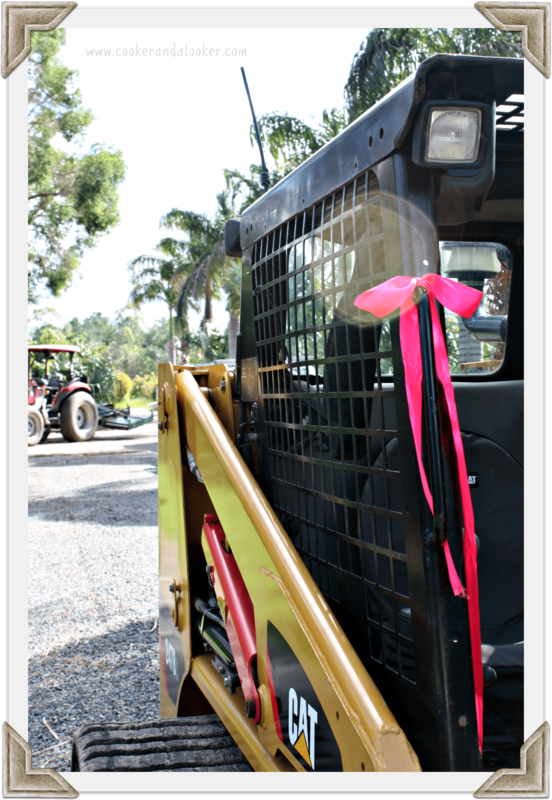 You would have to be one of the few bloggers that could combine driving a bobcat and a recipe into one post! All in a days work 😉 Happy Birthday. Very impressive present and recipe. Enjoy your bobcat! A bobcat!? So thoughtful. I do love baba ganoush, but am the only one in the family who does. More for me!! visiting from #TUST Blogs and PR! What a romantic … at least he put a bow on it! A pink bow at that! I may have bought my husband a telescope for Valentine’s Day early in our courtship. He doesn’t share my interest in the stars, but I covered it seamlessly with a dodgy card about loving him to the Milky Way and back. I didn’t fool either of us! What a wonderful present from the hub, it did give me the biggest laugh! Actually though I have had a chance to play with a backhoe/excavator before (work purposes) and I must say it’s good fun! Do you need to get a license to operate the backhoe?! 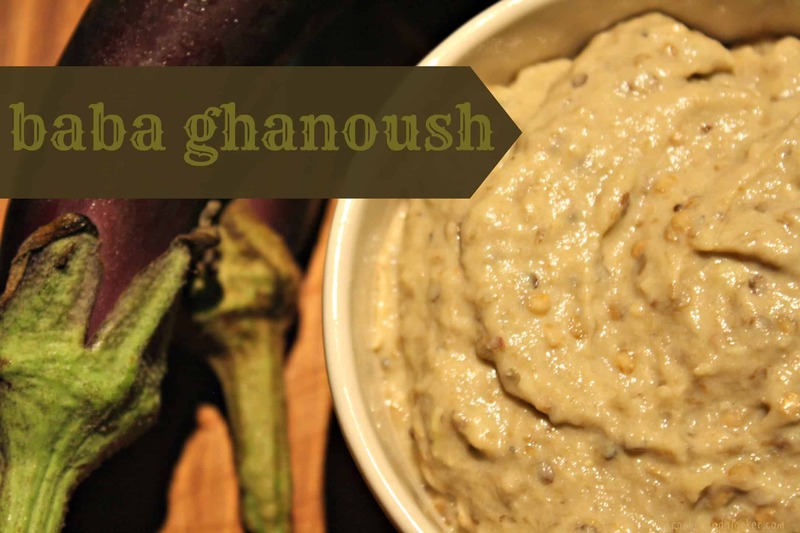 The Baba Ghanoush looks amazing. PS. Found you through Blogs and Pr but I will definitely be visiting again! Hi There, I have just found your blog. I am a melbourne girl – Donna with two little kids and I also have a blog – nectar and stone. Glad to have found you. Great site. Ha ha – I just found your blog – love the posts. You’ve either been voted in or left free and easy from your Kinder meeting. For the next round might I suggest sitting on your hands and popping in 2 or 3 minties into your mouth – works every time! Minties? Genius! Thanks for popping over Marina. Happy very belated Birthday! I hope you had a great day. I love baba ghanoush. So simple to make and so delicious! What a great present you received!